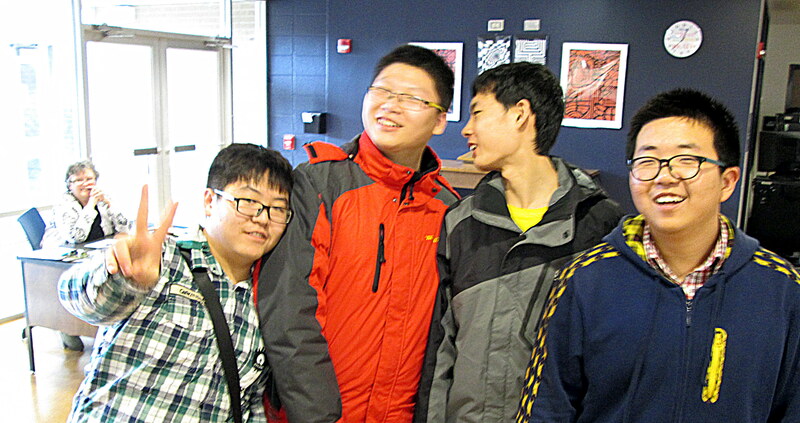 Students visiting from China attending classes with Freshman Academy students have been at school for a few days. Mrs. Little, a SHS social studies teacher who is currently living in China and teaching at an English school there, brought them in for an orientation. 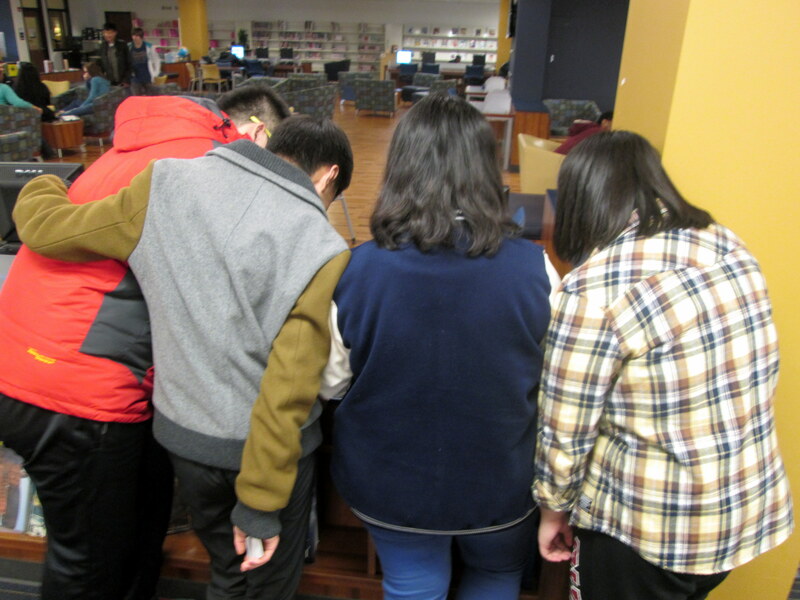 They visited the library today to learn what we do, how we serve the students and staff, and to look through our books. 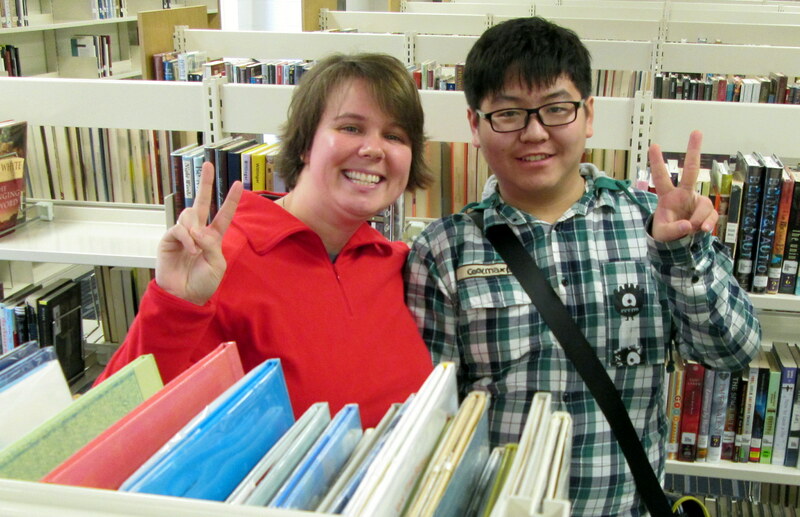 Students in China do not have access to libraries and are used to buying books so being able to borrow a book was a new concept to them. They really enjoyed looking at the books and asked great questions about the library.